Healthy, clean water from every tap. AVIVE is the award-winning water treatment solution from SanEcoTec. 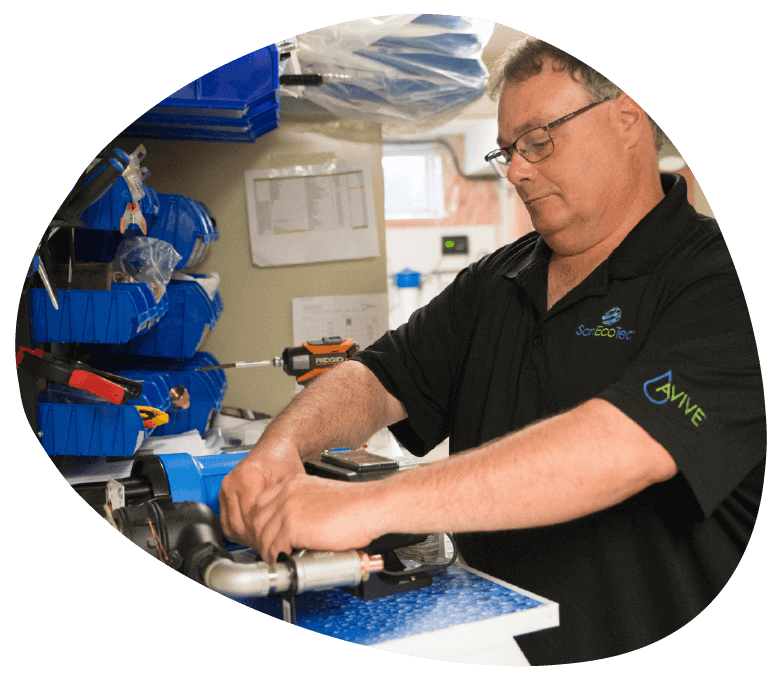 AVIVE costs less, performs better, and has a more positive impact on people, businesses, and the environment than any other form of water treatment. With established methodologies and new technologies AVIVE is at the cutting edge of water innovation. Our founders and engineers are passionate about water and believe that new standards using global best practices will ensure better, healthier lives for everyone. When you turn on the tap and clean, healthy water fills your glass, that’s the AVIVE system at work. 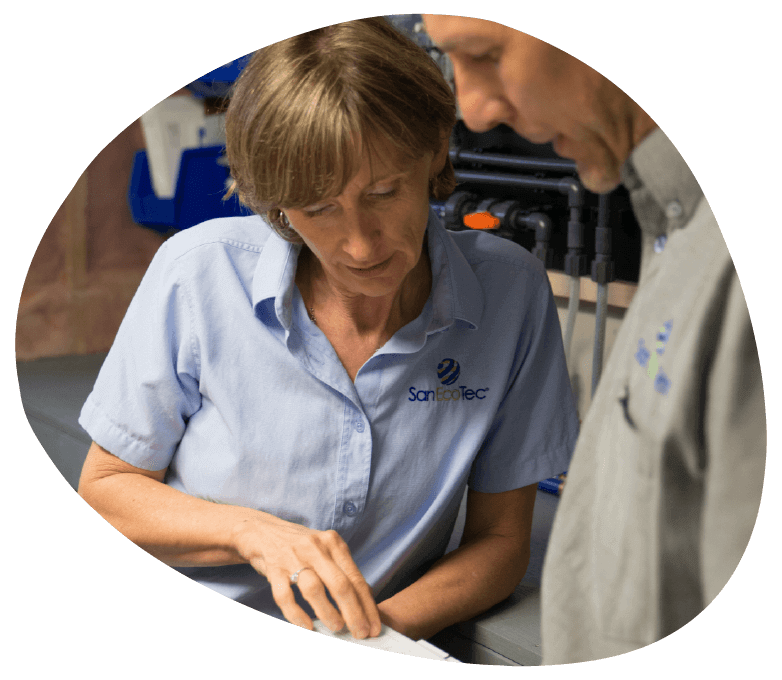 The system is an engineered solution that combines key technologies with alternative disinfection methods to provide healthy water. The individual elements of a system vary depending on the application—for instance agriculture vs. residential—but the design and engineering always follow an AVIVE healthy water program. To correctly and safely build a house, a careful plan must be followed. Similarly, the design and engineering of an AVIVE water treatment system follows an AVIVE healthy water program. The program determines how we provide our expertise from pre-sale to post-system installation through comprehensive service support, including unparalleled real-time, 24/7 monitoring. Much like our systems, our programs may also vary depending on the needs of the application and customer. AVIVE products are the individual components of an AVIVE system. To build the best and most effective system, we carefully select each product and continually develop and test our line up. A new generation of hydrogen peroxide with enhanced stability and targeted reactivity. As an alternative to traditional chemicals like chlorine, Huwa-San Peroxide breaks down into water and oxygen. An advanced, automated, and highly accurate water chemistry monitoring instrument. SPI uses colourimetric methods to monitor disinfectant residuals and other important water quality parameters, like pH. It provides real-time reporting, using fixed-remote or portable monitoring capabilities. An independent and prebuilt water treatment package that houses an AVIVE system. All equipment is tested and calibrated pre-shipping so that once on-site it can be easily positioned for convenience and optimization, as a simple ‘plug-in’ to the existing plumbing and electrical systems of current infrastructure. An essential safeguard in preventing cross contamination and controlling the spread of viruses and bacterial or fungal disease. They can be applied in greenhouses, farming operations or industrial kitchens and processing. Troubleshooting and risk management tools for measuring microbial content in water. With on-site testing capabilities, the kits provide immediate feedback for pre-emptive problem solving. Each kit includes reagents. SanEcoTec has adopted Huwa-San Peroxide (HSP) for our AVIVE water treatment systems. 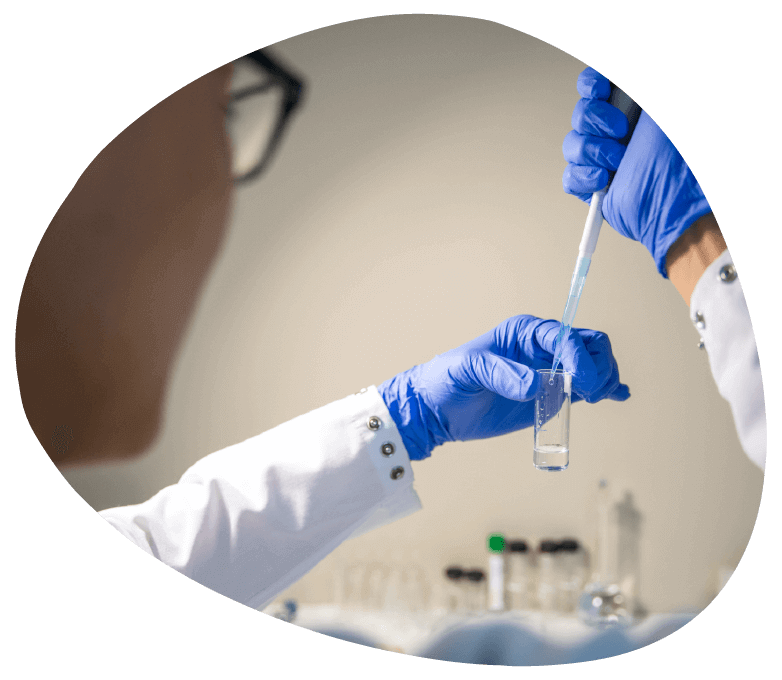 Unlike many harsh chemicals used in water treatment, our stabilized hydrogen peroxide creates no by-products and controls biofilm and opportunistic plumbing pathogens (which includes harmful bacteria). HSP is a natural disinfectant that breaks down to water and oxygen. Huwa-San Peroxide is the approved disinfectant with AVIVE systems. It is available through SanEcoTec in Canada and the U.S. and with our partners in other parts of the world. Water is the backbone of a community. When water is unsafe at school, children are sent home. When water is unsafe in hospitals, patients are at risk. When water is unsafe at home, communities are in a state of emergency. Empty schools do not educate children. Hospitals at risk cannot properly care for patients. Communities in crisis do not thrive. There is overwhelming evidence of unsafe water’s consequences, for example, First Nation communities, cities like Flint, Michigan, and numerous developing countries. Healthy water is essential for healthy communities. The new standard, water that supports good health, will see communities prosper. Healthy water makes for profitable businesses, productive farms and greenhouses, efficient processes, and happy homes. The need for healthy water motivates us to pioneer water treatment systems for residential households all the way to commercial operations and entire cities. With clean water technology, passion and expertise, we continue to be at the forefront of the healthy water movement.